I am in a fully committed deep love relationship. 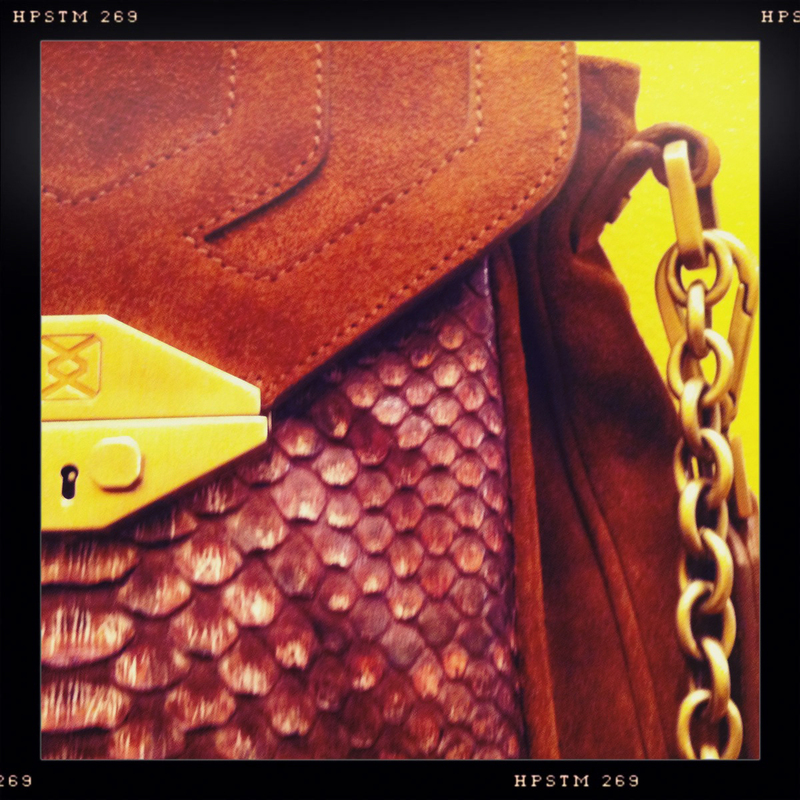 With my Katherine Fleming Knapp Python & Shearling Satchel (full name is required, perfection demands respect). Is that weird? If you had one, you would believe. It has 3 straps. THREE. 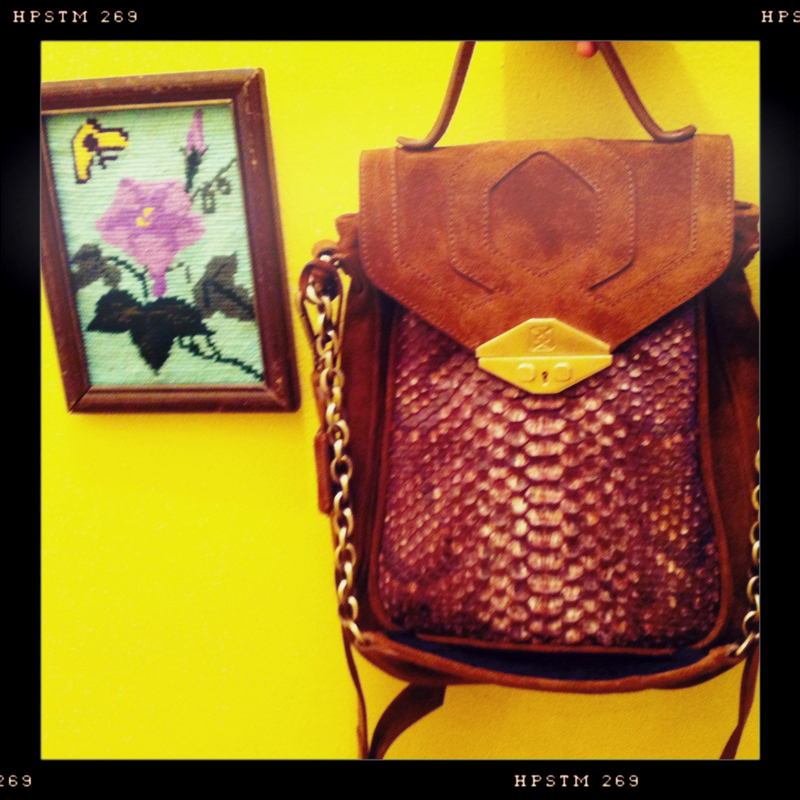 Carry it, shoulder it, cross body it- THE WORLD IS YOUR OYSTER, dig? The python is soft and feathery, and the suede is smooth and sturdy. It's not too big or to small, and I've only had it a few days but I have been stopped 4 times by people wanting to know what it was. SO CHOICE. If you see me out and about, feel free to come pet the python. god its so so good. Oh my god Elizabeth! I want to pet your python! 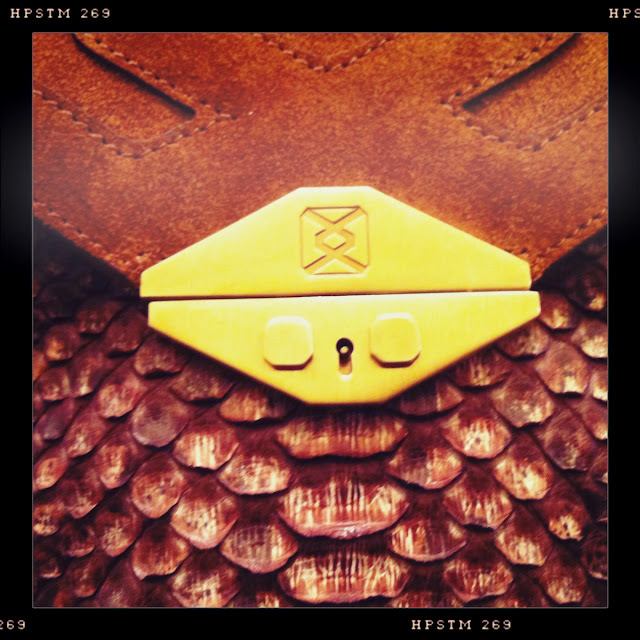 I have only recently come to appreciate handbags and handbag design in part thanks to this blog. I really love this and am glad you pointed out the ways you can carry it. The lines in the closing and overall shape sorta remind me of 30s art deco. so cool. I wish I could bump into you and pet the python. Does that mean you can't wear this when it rains? HOW MUCH? that bag is so amazing. omg! i just want it! it's breathtaking! could you tell me how much and from where??? that thing is freaking gorgeous, Debra. I LOVE. Hi to Kat for me, miss you ladies! 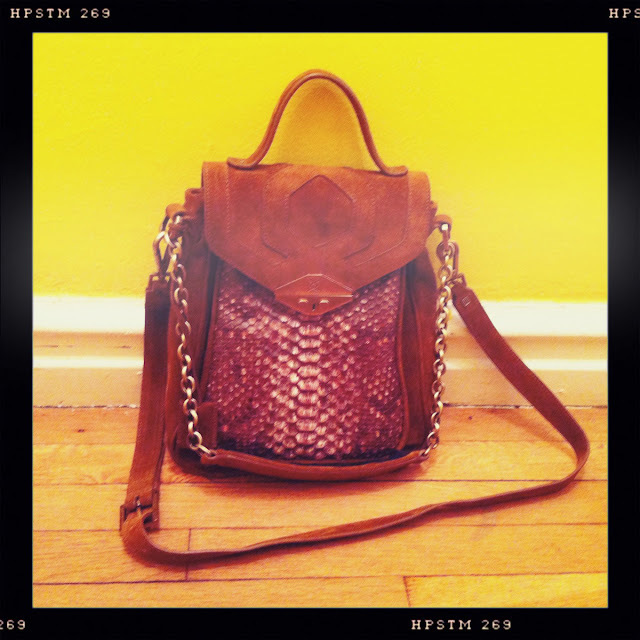 I am obsessed with the snakeskin detailing. What a beautiful bag. Really love the way you edited the photos. whoa that bag is amazing! i'm petted this bag in my dreams last night. I blogged about this bag a bit ago, it was love at first site. I am so jealous of you! So Happy you all like the Knapp satchel!